Mookie Betts switching from Under Armour to Jordan Brand was a godsend to swag enthusiasts. These spikes are absolute flames. 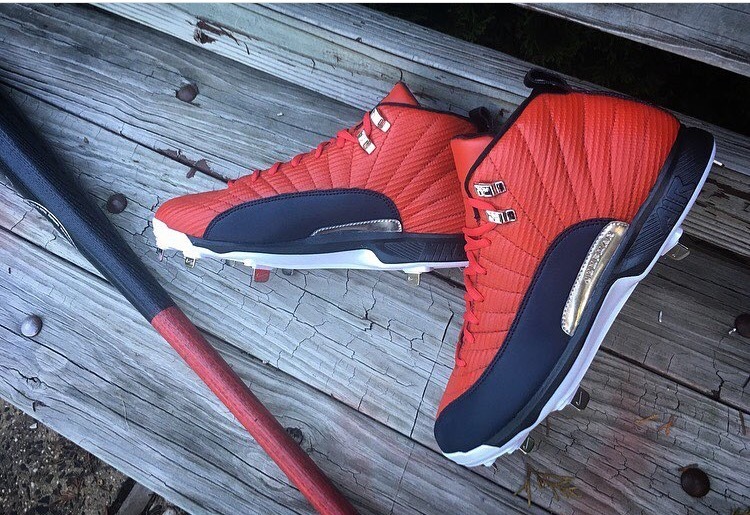 Unfortunately, Mache Custom Kicks made these for a potential Game 5 of the 2016 ALDS, so they never saw the light of day, but lets hope Mookie breaks these out for Opening Day 2017. He’s arguably the next Derek Jeter for Air Jordan Baseball as far as talent is concerned, and after the production he’s displayed in his first two full big league seasons, he may end up getting custom cleats of his own, just like number 2. These cleats are available (not in Mookie’s custom colorway) at the link.